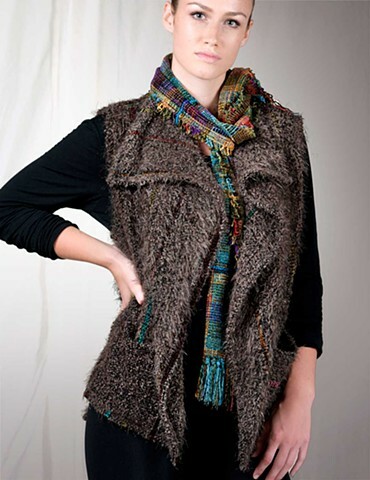 Handwoven vest of Cloud microfiber yarn woven on rayon chenille and cotton warp. "Earth Jewel" blockweave scarf. Available in Small, Med and Large sizes and Beige, Black or Chocolate colorways.